Don’t miss out on MonTECH’s first conference devoted entirely to augmentative and alternative communication (AAC)! 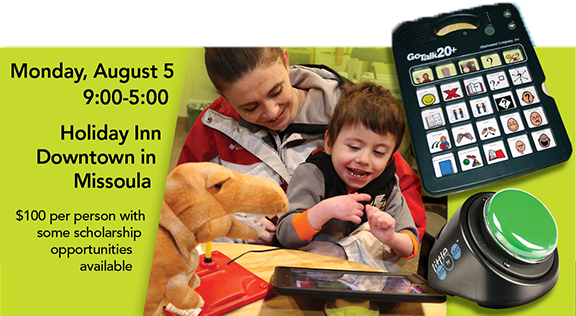 Join us for a day of learning with a nationally recognized AAC expert on August 5th, 9:00-5:00, at the Holiday Inn Missoula Downtown. Educators, direct support staff, family members, therapists, and other professionals are all welcome to come learn about technology for complex communication needs. Following a day of learning and sharing, stay to network and enjoy an evening at Montgomery Distillery, in the heart of Missoula’s hip downtown. A percentage of proceeds will be donated to our next AAC conference, as MonTECH is committed to providing future AAC education opportunities. Gail has 40+ years of experience working with individuals who use AAC systems. She began her career working with children with multiple, severe disabilities in a school setting. 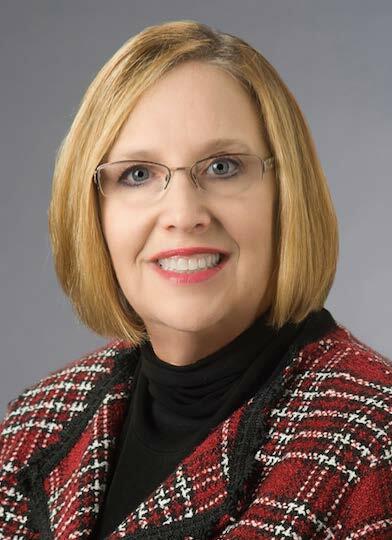 Later, serving on Florida’s statewide AAC assessment team, she traveled the state providing assessments and assisting in the implementation of AAC programs in schools. Since 1988, Gail has maintained a private practice, providing therapy services for children and adults using AAC systems. Her specialty is teaching core vocabulary and supporting those using icon-based communication devices.